I was reading the Article about Vacheron Constantin and decided to share it with you because it was Interesting. In a bold move that underscores its technical prowess and bespoke abilities, Vacheron Constantin unveils its most complicated wristwatch to date: the Les Cabinotiers Celestia Astronomical Grand Complication 3600. Five years in the making and the work of a single master watchmaker, the one-of-a-kind watch holds an estimated value of more than $1 million. 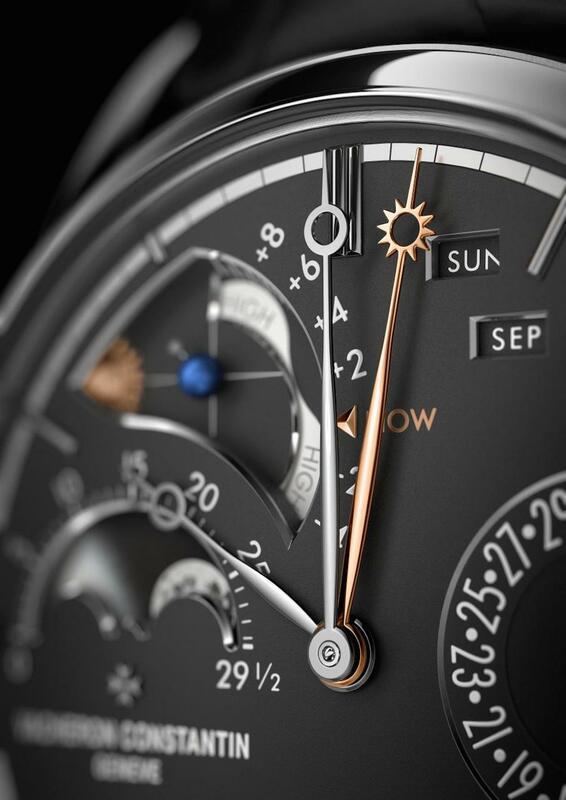 The Vacheron Constantin Les Cabinotiers Celestia Astronomical Grand Complication 3600 was five years in the making. Vacheron Constantin selected the Salon International de la Haute Horlogerie (SIHH) 2017 – taking place this week in Geneva – as the proving ground for the debut of the astronomical watch. The double-sided watch boasts 23 functions or complexities and does so in a caliber that measures just 8.7mm thick. In fact, the overall case size of the manual-wind watch is an incredible 45mm in diameter and 13.6mm in thickness – the equivalent of about half an inch. The new integrated movement, consisting of 514 parts and boasting 23 horological complications, carries the coveted Hallmark of Geneva certification – attesting to its exceptional craftsmanship. The incredible work of astronomy and timekeeping provides time in three modes: civil, solar and sidereal, each with its own gear train. Les Cabinotiers Celestia Astronomical Grand Complication 3600 offers civil, solar and sidereal time among its 23 functions and complications. Not a single complication in this 18-karat gold watch is taken from the famed “World’s Most Complicated” Ref. 57260 pocket watch that was unveiled in 2015 for the brand’s 260th anniversary and that offers 57 functions and complexities. Many watch experts who witnessed the release of that watch believed that some of the functions would make their way to other Vacheron Constantin timepieces (and some still may). This watch, however, while made in the same bespoke atelier division of the brand that the Ref. 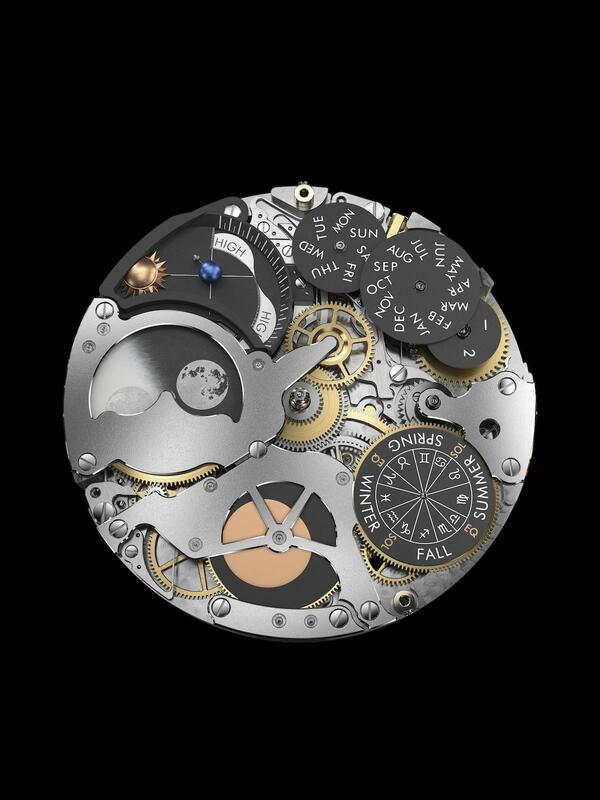 57260 was conceived of and built in, was developed and built by one dedicated master watchmaker. Among the standout features of the watch are a calendar and moonphase indication that shows day, date, month, leap year, perpetual calendar, day/night indication, precise moon phase and age of moon. Additionally, the timepiece boasts Solar functions, via a tropic gear train, such as equation of time and running equation of time, sunrise time, sunset time, length of day, length of night, seasons, solstices, equinoxes and zodiac signs. For marine lovers and navigators, there is a tide level indicator and a Sun-Earth-Moon conjunction, opposition and quadrature. Finally, the celestial chart, made possible by a dedicated sidereal gear train, shows northern hemisphere with indication of the Milky Way, the ecliptic and celestial equator, celestial time hours and celestial time minutes. Joining these amazing indications is a tourbillon, power reserve indicator and an offering of three weeks of power reserve thanks to six barrels. Exactly 15 functions or indications can be seen on the front (or main) dial of the watch, with the remaining eight – predominantly astronomical indications, and the tourbillon — viewed on the second dial via disks and hands. 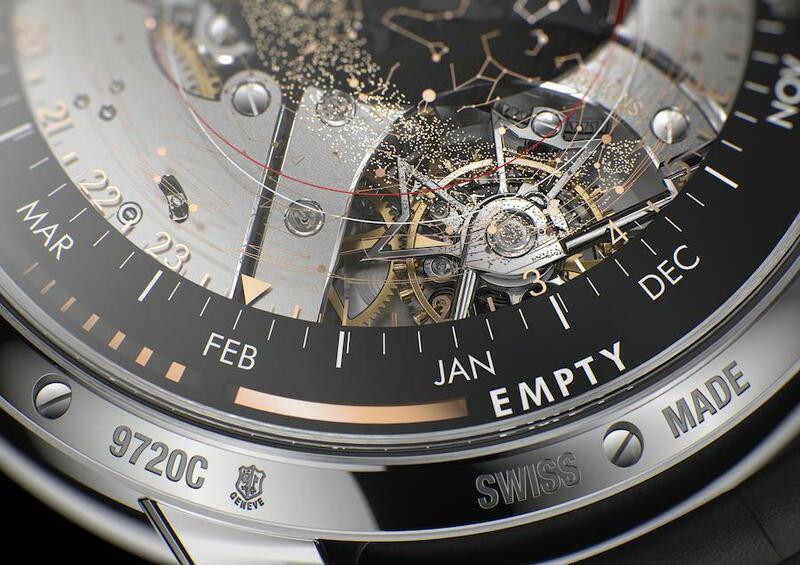 The brand also has filed a patent on the translucent celestial chart that displays the constellation as seen from the Northern hemisphere, as well as the months of the year and a power reserve indicator. Exactly two of the five years that went into the making of this watch were dedicated solely to the design of the timepiece, its caliber and its multiple gear trains. In total, the one-of-a-kind Les Cabinotiers Celestia Astronomical Grand Complication 3600 magnificently interprets time as it relates to the heavenly bodies and their properties. The caliber 3600 consists of 514 individually finished components. The 514 mechanical parts in the movement all work together in a carefully choreographed dance of information, calculations, adjustments and displays. Civil time, solar time and sidereal time are all displayed on this super complication timepiece, each with its own gear train. Civil time, also often referred to as mean time, is indicated in the traditional manner, with hands showing the hours and minutes. The civil time concept is based on the generalization that the Sun moves around the equator at a constant speed throughout the year, averaging one full turn every 24 hours. Of course, this is not the case in reality. This is a method developed by scientists and astronomers to offer consistency to our timing segments: 24 hours, 60 minutes, 365 days in a year, etc. 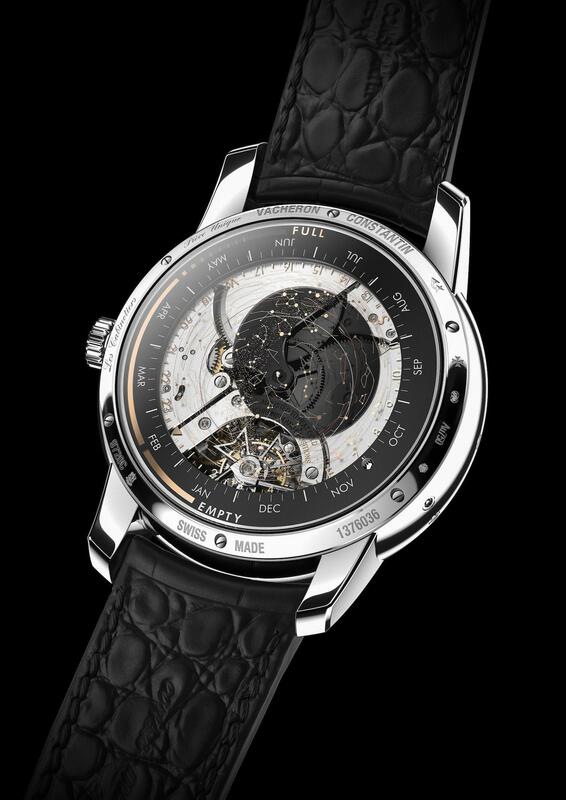 Les Cabinotiers Celestia Astronomical Grand Complication 3600 features a tourbillon escarpment on the second dial with Maltese crown. Solar time is determined based on the visible path of the Sun throughout the course of a day. Depending on the day of the year, the difference between solar time and mean time ranges from +14 to -16 minutes. Only four times a year do the solar time and mean time coincide. Sidereal time, which is measured and read off on the back of the watch, is regarded as an astronomical scale based on Earth’s rotation with respect to the motion of the ‘fixed’ stars as observed from a local meridian. Sidereal time differs from mean time by approximately four minutes per day so that, in effect, 24 sidereal hours corresponds to 23 hours, 56 minutes and 4 seconds of civil (mean) time. The sidereal hours and minutes are via two superimposed sapphire discs: one that forms the celestial sky with minute track and one that shows the constellations and projections of the equator. To measure and display the running equation of time that enables instant reading of solar and civil times, Vacheron Constantin has specially developed a tropical gear train that emulates the tropical year — the time Earth takes to make a full turn around the sun (365.2421898 days). Water resistant to 30 meters, the watch is engraved with the words “piece unique” and “Les Cabinotiers” on the back dial.